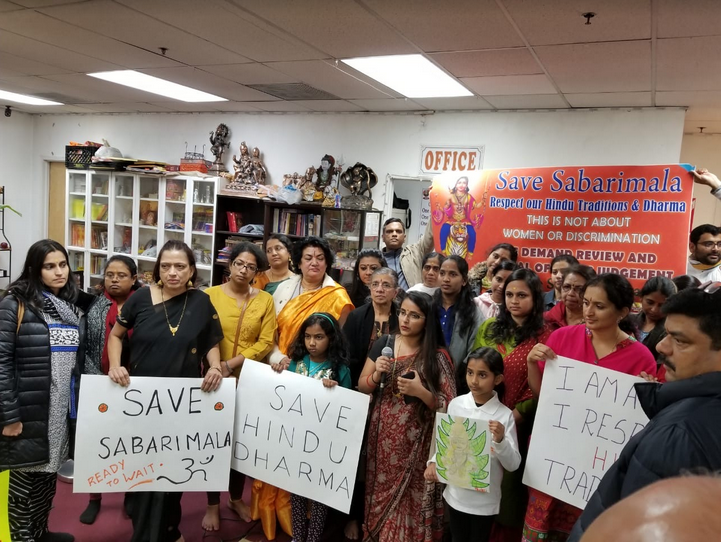 Hindus in Chicago Protest against Sabarimala Verdict of Indian Supreme Court. S Dosapati | HENB | Chicago | Oct 27, 2018:: Though the protest rally against ‘Sabarimala Verdict of Indian Supreme Court’ was cancelled today in New York Indian Consulate due to bad weather, the same programme was successfully held in Chicago as organised well by Hemant Patel and Ayyappa devotees there. The postponed New York programme is being rescheduled conveniently. Bhartiya Senior Citizens, expressed dis-satisfaction against the Supreme Court of India’s verdict allowing women between the age of 10-50 in response to a petition by non-devotees. The verdict is against hundreds of year-old temple tradition. It is against Hindu faith and belief system. The community is outraged by the SC judgement; and expressed solidarity to those who have been relentlessly fighting to protect Sabarimala and Hindu Dharma. The protestors signed memorandum asking to repeal the verdict. It will be submitted to the Prime Minister through Consulate General and other media. The Hindus across the world are unhappy with the premeditated desecration of Sabarimala. The Hindu community condemns the State Government of Kerala who has used official machinery to crush the protests of innocent pilgrims who just want to protect their place of worship from those who only have the aim to desecrate it. All most all Hindu women are okay with the current restrictions and in fact, they are the one who is fighting against the Supreme Court verdict! The women who are asking temple access are either atheists or from other religions, they are not even devotees, they are not doing for worship, equality, or to reform Hinduism! They have no respect for the sacredness of the place. They are simply trying to denigrate Hinduism and to tear down the fabric of Hinduism. They are hurting the sentiments of nearly 1 billion Hindus! They want to humiliate the Hindus! A non-Hindu activist Rehana Fatima; who attempted to enter the temple carried sanitary napkins to desecrate Ayyappa (Hindu God) is not a sign of worship! It deeply hurt the sentiments of Hindus worldwide. 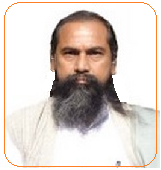 It is clear that the anti-Hindu elements have a set and a systematic agenda to break apart Hinduism and then Bharat. It is important to remember that they are not doing for our sisters, daughters, and moms. They are moving with their evil agenda. The verdict is a surrender to the “Destroy-Hinduism” forces. The SC should not interfere in rituals as long as they are not abusive, violent, threat, harmful, unsafe, or with a discriminatory motive. In this case, individual right was given higher priority than the basic Hindu practices. The Supreme Court is being selective and discriminatory. They find a violation of fundamental rights because of the restrictions of the single Hindu temple, but do not find anything wrong with the restrictions on women in other religions. Handful non-Hindu activist’s concerns matter to the SC, but 1 billion Hindus’ faith do not? What kind of justice is this? Why the SC did not consult the Hindu dharmgurus and scholars first? It should be “Fix all religions or none!” The SC should not play double standards. Hindus are simply asking to save their faith, traditions, customs, culture, and thousands of years-old heritages in their own country which are being attacked in the name of reforms. All Hindu reforms should come from within Hindus after thorough analysis, research, study, and understanding. Dharmgurus and scholars should be consulted to bring needed reforms. Unlike some other religions, Hinduism is progressive and flexible religion. The reforms were carried out in the past (for example “Sati Pratha”) and could be done again. But, no external elements, especially anti-Hindu regiment should force the reforms. Supreme Court has no business in hearing cases on religion unless there is a systematic discrimination. Sabarimala is a wake-up call for all Hindus and a golden opportunity to unite! “Sabarimala” is not a local issue; it as an attack on “Hindu-faith”. It is Sabarimala today, and if nothing is done, it will be other temples and traditions tomorrow! Diwali firework is banned 22 hours out of 24 hours. While keeping cruel rituals from other religions untouched, all Hindu festivals are under heavy scrutiny behind the name of reforms. We urge the Hindus that; this is not an isolated event, but a planned and premeditated attack on the religion by anti-Hindu forces. We urge Hindus across the globe to wake up and take note of the designs of anti-India and anti-Hindu forces and take actions, before it gets too late. 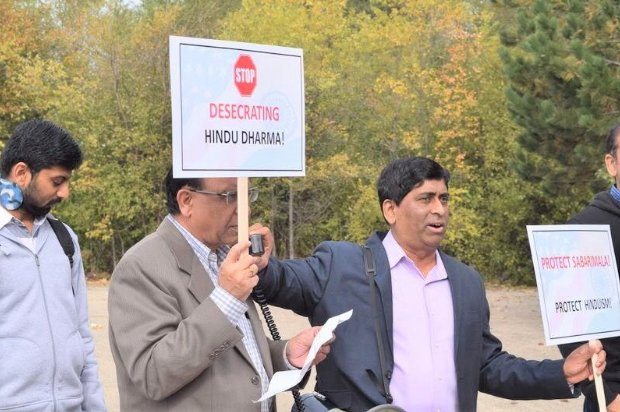 Devout Hindus also came to the street of New Jersey to register their protest against Sabarimala Verdict of Indian Supreme Court. HENB got the pictures from New Jersey Programme through Sri Gopichand Attili. Many women participated in the New Jersey highly opposed the Sabarimala Verdict of Indian Supreme and urged review the verdict and to respect Hindu tradition and culture of Sabarimala which has no connection with ‘gender issue’ or any ‘issue of equality’. The organizers of the rally demanded step down of present Kerala Govt if it failed to pay heed to rituals and faith prevailed in Sabarimala. 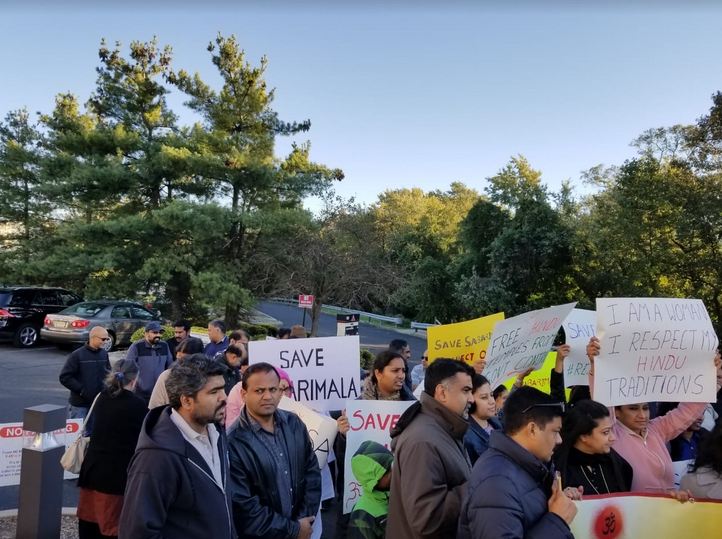 The spontaneous participation of Ayyappa devotees in New Jersey Rally was unprecedented one and Indian Govt and Judiciary must take note of the resentment of the Hindu devotees over the ‘anti-Hindu’ and ‘anti-Tradition’ verdict on Sabarimala. TV9 Telugu Live covered the New Jersey protest Rally nicely. Stop extra Judicial tendency for the vilification of Hindu Tradition. Hindus all over the world are protesting over the Supreme Court of India’s vilifying verdict on Sabarimala entry. Majority Hindus have summarily rejected the ill convinced and ill conceived verdict of Supreme Court on the related matter. Sabarimala Temple Entry Tradition restricting 10-50 years girls and women was not harming anybody in the Hindu Society nor any Hindu believer or Ayyappa devotee knocked the door of any court of law for any change in the traditional rituals prevailed in Sabarimala. It was a group of some atheists and non-Hindu people who approached the court of law and successfully enforced the the Highest seat of Judgement to deliver an anti-Hindu verdict. The Court of law and verdict supporters like Dr Subramanian Swamy, Maneka Gandhi, Ravi Shakar Prasad in BJP never considered the points of Hindus anyway justifiably. 1) Whether temple is a public or private place? 2) How it be a public place when devotees establish temple making deities as owner (swami/prabhu) after pranapratistha? 3) If temple is a private meeting place of devotees & deities, how can undesirable persons trespass into temple disobeying guiding principles of the host of temple or shrine? A temple is not a public place of nuisance or challenging the rituals, customs and traditions prevailing there without making harms to anybody. The extra Judicial enforcement upon Sabarimala shrine and Ayyappa devotees is a glaring example of vilification of Hindu culture and tradition by the gross Indian Polity and selective secular Judiciary in a bracket. The recent attitude of Supreme Court of India is most dangerous to undermine the urge of majority Hindus and its intention of misinterpret Hindu tradition and culture on their own without understanding the innate significance of Hindu faith and ritual is more dangerous. Supreme Court of India can’t behave like as a New Dharma Guru of Hindus! The Govt of India must feel the pulse of unprecedented protest of the Hindu people over Supreme Court Verdict on Sabarimala. The NDA Govt in the Center led by BJP must not ignore the Supreme Verdict of People on Sabarimala. Supreme Verdict of People is always powerful than any verdict of Supreme Court. When the Judiciary in India is happy to be anti-Hindu, the Parliament of India must make ordinances for the unresolved Hindu issues like Ayodhya, Sabarimala, Cow slaughter & Temple boards. That will be a boon for the survival of BJP & Hindu Bharat for next 100 years. All the Ayappa devotees to struggling for Sabarimala tradition from Kochi to Chicago, Nilakkal to New Jersey to Guwahati to Gandhinagar, Varanasi to Rameshwaram are framing a New Hindu Age now. Congratulations. Swamiyee Sharanam Ayyappa to All. ___Inputs from the Friends of Hindu Existence in USA. This entry was posted on October 28, 2018 by hinduexistence in Anti-Hindu, Attack on Hindus in India, Global Hindu News, Global Hindus, Hindu Advocacy, Hindu congregation, Hindu Culture and Tradition, Hindu Demand, Hindu Demand To Save Sabarimala, Hindu Leadership, Hindu Protest, Hindu Rituals, Hindu Temples under Attack, Hindu Tradition and Culture under attack and tagged 'Save Sabarimala' protest march in New Jersey, 'Save Sabarimala' Rally in Chicago, Chicago Protest against Sabarimala Verdict, Hemant Patel, Satya Dosapati, Stop extra Judicial tendency for the vilification of Hindu Tradition, Swamiyee Sharanam Ayyappa, Upananda Brahmachari, US Ayyappa devotees protest over Indian SC Verdict.